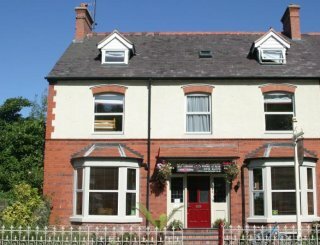 Cilgwyn Manor, Llangadog, Carmarthenshire, sleeps 20-36 in 19 bedrooms. 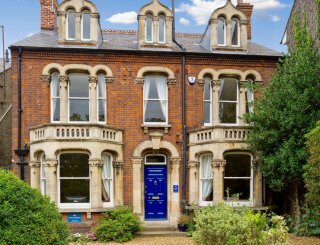 We offer accommodation for 16 - 30 young people over 16 bedrooms, with separate bedrooms for youth leaders. 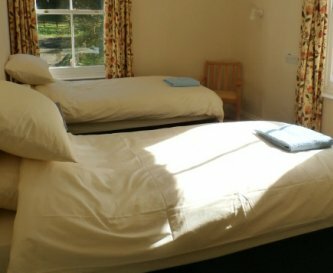 There is a mix of single, twin and bunk rooms - all of which have a sink; and 8 bedrooms have en suite toilet facilities. Further toilets are located throughout the property; and 8 showers and 1 bath are provided over 4 bathrooms. Two bathrooms are single shower rooms, while the other 2 are divided into male and female bathrooms, each with 3 enclosed showers. Communal areas include a large, well-equipped, commercial-style kitchen. There are also two dining areas and a lounge - equipped with TV, DVD player, stereo, dart board and piano. One of our dining areas has 32 stackable chairs and 9 tables, and can easily be rearranged to suit your group's specific or educational needs. A laundry room is also available. 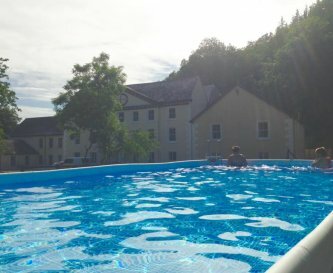 Outside in the park-like grounds we have a gas barbecue, trampoline, patio areas and a 32' above-ground swimming pool (unheated). 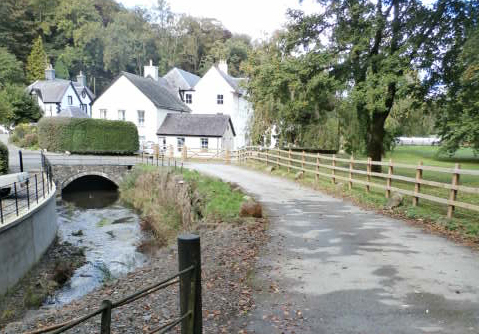 Although we are based in a rural wooded valley, we are not too remote. The village of Llangadog is about 3 miles away and offers a local shop and post office; while the market town of Llandovery, about 4 miles away, offers a wider range of shops and a supermarket. 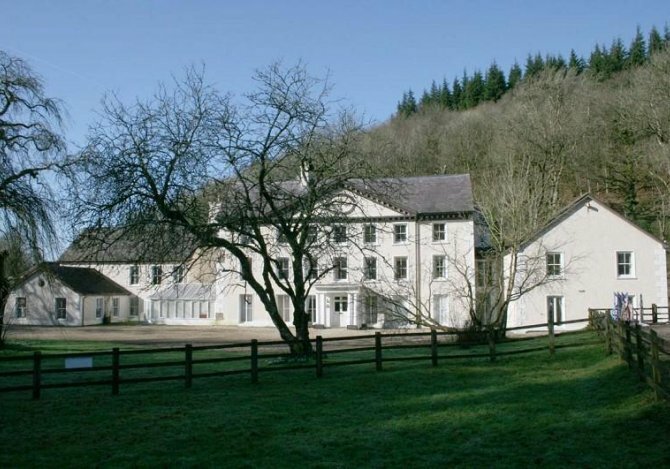 Cilgwyn Manor is ideally situated for exploring all parts of south-west Wales. Places such as the Brecon Beacons, Carreg Cennen Castle, Oakwood Park, Hay-on-Wye, Carmarthen, Swansea and the Gower Coast are just a day trip away. 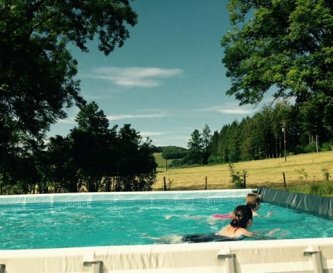 Nearby centres offer many activities, including pony trekking, quad biking, white water rafting, coasteering and much more. 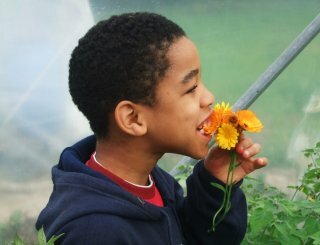 For more information about local attractions, please visit the visitWales web site. Please contact us to see if we can meet your requirements. 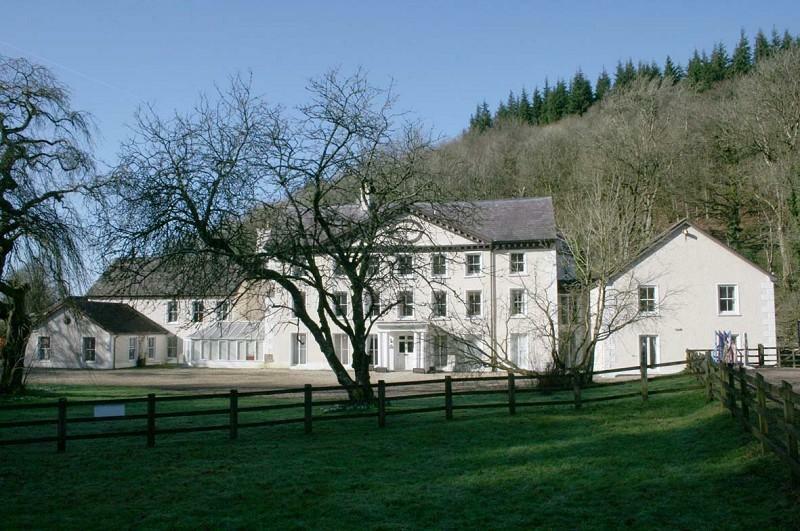 Cilgwyn Manor could provide the flexible accommodation your group has been looking for. 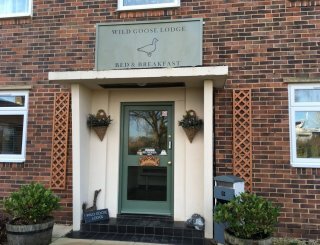 Large, well-equipped, commercial-style kitchen with electric Aga, separate electric oven, grill, 2 fridges, chest freezer and commercial dishwasher. Two separate dining areas - one seating 20 and one seating up to 32. Large lounge with leather sofas, piano, dartboard. TVs in lounge and one of the dining areas. Stereo system in lounge. Free WiFi throughout property - but poor mobile phone reception. Central heating and hot water supplied by biomass boiler. 19 bedrooms, with a mix of single, bunk, twin and double rooms. 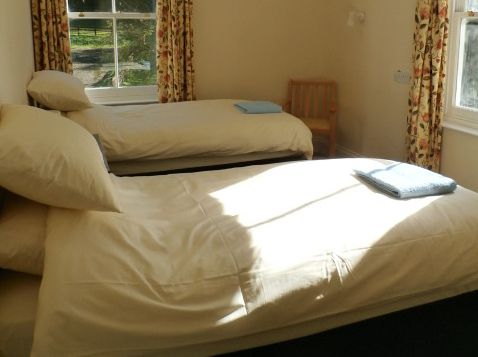 All single beds 3' wide, and super-king sized beds in double rooms. All linen and towels provided, and beds made up on arrival. 9 bedrooms with en suite toilets/1 with shower. 9 showers and 1 bath. 2 single bathrooms, plus male and female bathrooms each with 3 enclosed showers. 1 ground floor room with en suite toilet, bars and grab handles. Hand rails in corridors and wide doorways for wheelchair access. One high-chair available. Please bring your own travel cots. Park-like grounds with patio areas, covered smoking area, 14' trampoline. Plenty of private parking - for at least 18 cars. Accessible by minibus but not suitable for coaches. No smoking inside the property - but covered outdoor area and ashtrays provided. Pets usually at no extra cost if arranged in advance. We can provide dog bedding, bowls and towels. 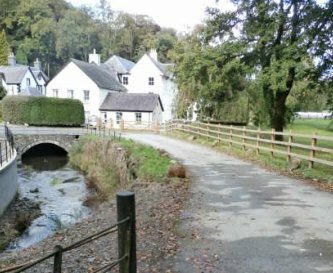 Set in a wooded valley beside the river Ydw, in Llangadog, rural Carmarthenshire, on the western edge of the Brecon Beacons National Park. The market town of Llandovery is about 4 miles away. Carmarthen 25 miles. Swansea 33 miles. Small shop and post office in Llangadog, about 3 miles away. Larger range of shops in Llandovery, about 4 miles away. Llangadog and Llandovery - distances as above. 4 night midweek bookings at same rates as 3 night weekends. 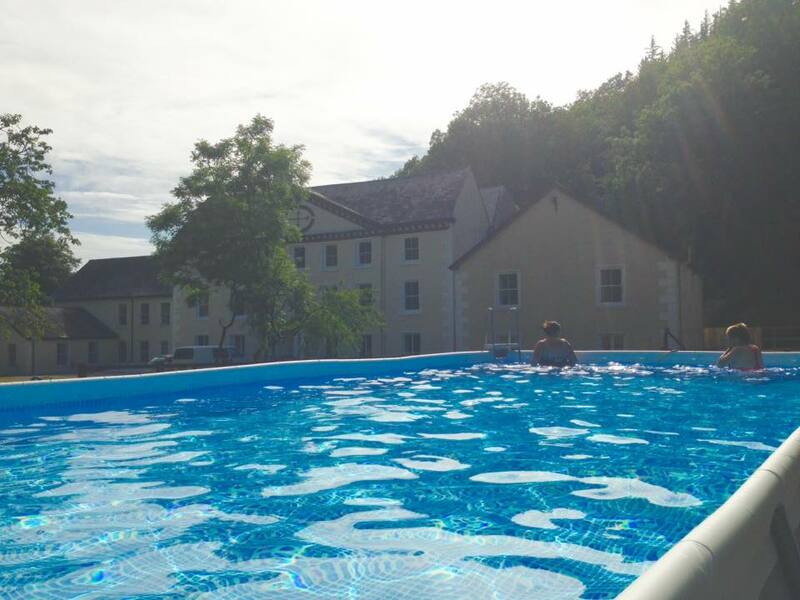 20% non-refundable deposit with booking, balance no less than 4 weeks before arrival. Prices above are for smaller groups. Please contact for details and special offers. All prices include 20% VAT. Bristol - about 80 miles. 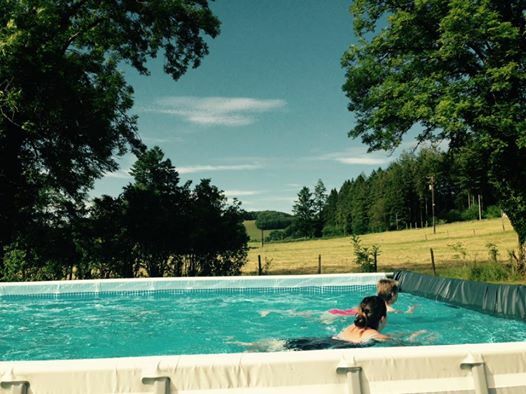 Groups of up to 16 - price per week from £1,800 - short break price from £1,200 Groups of 17 - 24 - price per week from £2,400 - short break price from £1,900 Groups of 25 - 32 - price per week from £3,000 - short break price from £2,400 No charge for youth leaders / teachers.